Color Name: brushed_steel Metal table legs for the home office are functional , sharp looking, sturdylegs at reasonable prices and built to handle heavy loads. 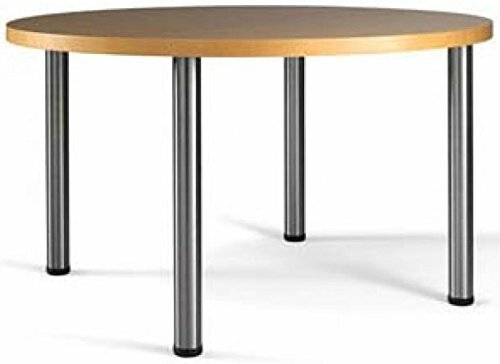 They make greatreplacement table legs in the home office, desks or even kitchen tables.Leveler foot increases height up to 1". Our standard 28" height metal tablelegs, with a standard diameter of 2-3/8" are height adjustable with built-inlevelers. Great for retrofits, including computer desks, tables or home officeand conference desks. Very sturdy, holds up to 220 lbs. vertical load ratingper leg.